We are delighted to announce the promotion of three new partners in our Abu Dhabi office. The promotions, which became effective 1 June 2018, reflect the continuing focus on attracting and retaining the best legal talent in the UAE and across our key practice areas of Corporate, Commercial, Dispute Resolution and Government Regulatory. 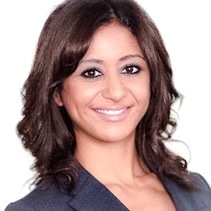 Dina Mahdi, Partner, Corporate and Commercial – Dina advises on a range of corporate, commercial and regulatory law matters. Fluent in Arabic and English, she has worked with a variety of clients, including both international abnd domestic entities, government, public and private institutions. Khalid Al Hayyas, Partner, Dispute Resolution – Fluent in Arabic and English, Khalid is licensed to appear before both local and federal courts and advises clients on a range of corporate, commercial, criminal, regulatory and employment law matters. Ahmed Nasser, Partner, Corporate – Ahmed is lauded by clients for his extensive knowledge of UAE laws and his ability to find and develop innovative solutions. 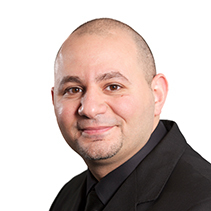 Fluent in Arabic and English, Ahmed has considerable experience in corporate, commercial and real estate work.